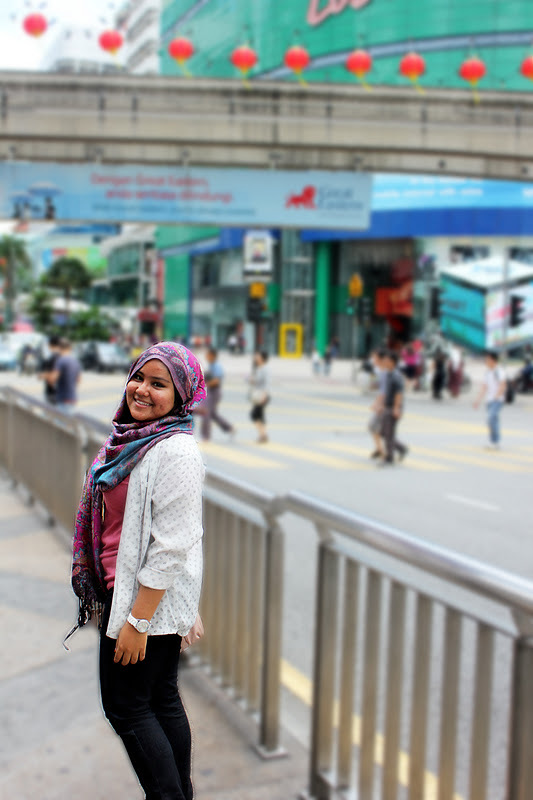 What So Sizzle Bout Sizzling Suzai - Malaysia Fashion, Travel and Lifestyle Blogger: LOOK #40 - Photoshoot 8: The City Chic! LOOK #40 - Photoshoot 8: The City Chic! then, should be my mom's old blouse that i worn as an outer. i love the soft and light material of it since it successfully prevented me from drowning in my own sweat while walking under the sunny day. previously, i've wore it as a blouse which you can check on this post. Photoshoot: Back To Nature! hmm..im not really in the mood of writing now since this post has took me about 1/2 day to finally click the PUBLISH button. huhu..im tired of thinking my un-touch FYP report but still i haven't do anything about it yet. Oh, God please give me the super power to freeze the time. so that, i could forever having fun without pondering on the matters that i dislike. hehe.. salam..I'm ur silent reader and I really enjoy to read your blog.keep writing! I LIKE THE COLOUR OF YOUR PASHMINA!